A large focus of Gehring Dancetheatre’s mission is on education. Gehring Dancetheatre believes that dance is an important aspect of life and tries to encourage learning through dance whenever possible, whether it be in a classroom setting, at their own events by opening up the dance floor for their audience after the show, or by having a weekly open company class. Ms. Gehring has created her own specialized warm-up class for the company, which focuses on strengthening and stretching in a combination of floor and center exercises. The hour long class uses elements of yoga, pilates, ballet technique, and basic modern concepts to create a comprehensive class for beginners and advanced dancers alike. This class is an integral part of Gehring Dancetheatre’s outreach program. The company offers master classes and workshops allowing student to explore movement by leading them in the company workout, partnering and simple acrobatic exercises designed to challenge the students out of their comfort zone, then culminating the workshop with teaching the students excerpts from the company’s repertoire. Every July Gehring Dancetheatre hosts a five-week summer dance intensive in a partnership with the Garden State Ballet in Rutherford, NJ. The Summer Dance Intensive is geared towards serious students focused on a professional career in dance. By giving students the opportunity to work alongside and with professional dancers, the students receive an inside look into the world of dance and the skills needed to be a successful dancer. Company members and guest instructors take turns teaching classes and taking the classes, presenting themselves as role models the students can learn from. 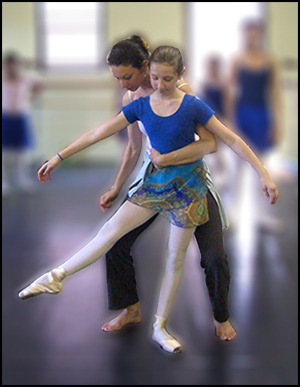 The intensive focuses on ballet and modern technique with additional classes in hip hop, swing, and other styles of dance so the students become well versed in multiple styles of dance. Classes are taught at two levels with the students dancing up to 25 hours a week, Monday through Thursday. The goal of the intensive is to create a well-rounded dancer who will be able to compete in today’s eclectic dance world with the additional hope of creating a pool of future Gehring Dancetheatre dancers. Over the past 10 years, Gehring Dancetheatre has taught students from across New Jersey, New York, Connecticut, and even Vermont in their program with the result of several new Gehring Dancetheatre members. Dates for the intensive this summer’s intensive are July 6th – August 6th. Applications for the 2015 Summer Dance Intensive are available by emailing gehringdancetheatre[at]gmail.com.